You heard it here first, folks (unless you heard it someplace else first). PureBlend Software, makers of Movie★Slate ($24.99), one of our favorite iOS apps, has joined forces with Timecode Systems Limited, makers of the Timecode Buddy System, to ensure that your iPad and iPhone slates will ALWAYS have accurate timecode. This is BIG news! In the past, the Movie★Slate app could get its source timecode in a few different ways. The most rudimentary method would be via manually entry (this never resulted in truly accurate sync). Thankfully, a later version of Movie★Slate added a far more professional method. Users could run a cable from their camera’s timecode-out port to the iDevice’s audio-in port. The app would then sync its internal timecode with the incoming camera feed (this method requires a $50 in-app purchase of their Timecode Plugin). Once Movie★Slate was in sync, the cable could be disconnected, and the app could be used as intended. This method works great (and is in use on productions around the world), but timecode can slide very slightly out of sync over the course of the day since the app is relying on the iDevice’s internal clock to maintain sync. For many professionals, that’s simply not good enough. To get around the issue, a few resourceful filmmakers have come up with additional methods of sending timecode to their iDevices (wirelessly transmitting timecode audio via Comtek, keeping their iPhones and iPads tethered to the camera, etc). None of these solutions provided a simple, elegant, always-accurate fix. That’s where Timecode Buddy comes in! In essence, the Timecode Buddy is a small, sleek device that can wirelessly transmit your camera’s timecode to other Timecode Buddy devices. It can also be used as a timecode generator, letting you jam sync your camera to the same timecode source that will be fed to the sound department, and again, wirelessly transmitted to other Timecode Buddy devices. It’s that last part that makes this product so interesting. How is it wirelessly transmitting it’s signal? Wi-fi! Think about it for a second… always accurate timecode floating wirelessly over your entire set via WI-FI! Holy crap! The Timecode Buddy can create its own network, or connect to your existing network. With the aid of your iDevice’s built-in wi-fi, the soon-to-be released update of Movie★Slate will be able to wirelessly receive the Timecode Buddy signal. Therefore, it will ALWAYS have accurate timecode. No manual entry. No cables. No timecode slippage. Awesome! You can even use Movie★Slate to wirelessly configure the Timecode Buddy’s settings. This is probably a good time to remind you that Movie★Slate (and the new Timecode Buddy sync feature) work on the iPod touch as well. This new syncing functionally is provided as part of Movie★Slate’s Timecode Plugin, a $50 in-app purchase. If you already purchased the Timecode plugin to do cable-based sync in the past, you’ll soon be getting Timecode Buddy support at no additional charge. 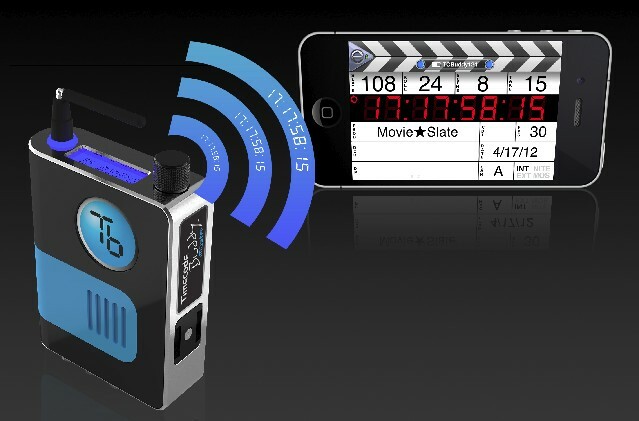 Movie★Slate isn’t the first iOS app to contain Timecode Buddy’s wireless sync features. That honor goes to Timecode System’s own slate app. It’s an ok app. However, adding Buddy’s wireless sync functionality to Movie★Slate long list of features (i.e., shot logging, report generation, exporting to all major NLEs, sound department extras, music video mode, compatibility with real clapper sticks, etc.) serves to make an already amazing app, that much more powerful. Timecode Buddy will have its official US launch at this year’s NAB convention in Las Vegas, April 16th – 19th. 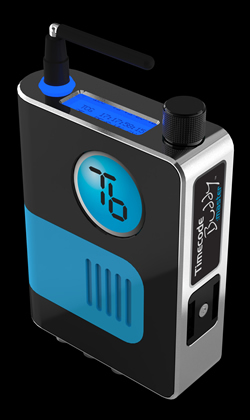 Units should start shipping shortly thereafter, however you can pre-order a “Timecode Buddy: Master” (£675) right now. The new version of Movie★Slate should also be available shortly after NAB. If you want to see them working together before making a purchase, visit stand C2150 at NAB, or come to the Las Vegas SuperMeet! Want more info about Movie★Slate? Check out some of our previous coverage. You can check out several videos of Movie★Slate in action on the app’s website. I believe they’ll be adding video of the Timecode Buddy workflow soon. As a bonus, here’s a Timecode Buddy promo video. It doesn’t mention the Movie★Slate partnership, and it’s a bit cheesy, but it is informative. Happy Syncing!